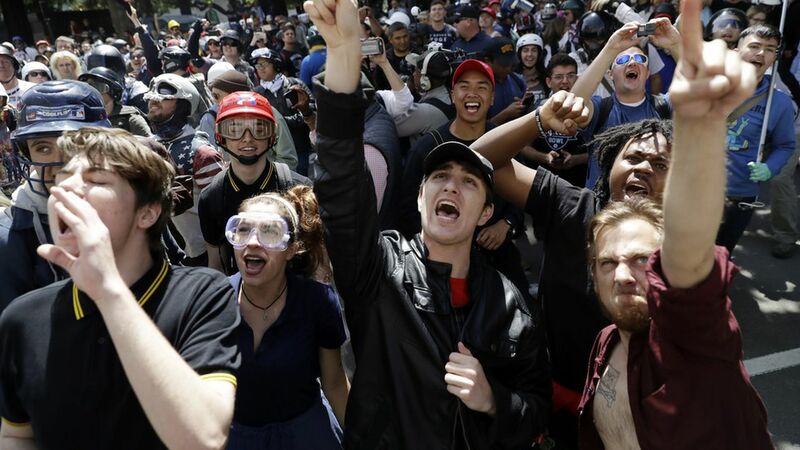 UC Berkeley chancellor calls for "free speech year"
UC Berkeley has been ground zero for the national debate over free speech on campus, with students holding high-profile and at times violent protests over speakers like Milo Yiannopoulos and Ann Coulter in the past year. But new chancellor Carol Christ sent a campus-wide email encouraging free speech for all — regardless of politics. Why now? This comes two weeks after California legislature unanimously passed a resolution urging universities to adopt the University of Chicago's free expression statement. The resolution includes pro-free speech quotes from political figures like Barack Obama. Christ's quote: "We would be providing students with a less valuable education, preparing them less well for the world after graduation, if we tried to shelter them from ideas that many find wrong, even dangerous." What to watch for: Whether this message resonates with Berkeley's predominantly liberal student body.